WOW!! What an adorable and beautiful home!! This is a must see turn key home, with upgraded kitchen and Bathrooms. Extra large laundry room that can also be used as office space, pet bed area or extended pantry. Kitchen has a large pantry area. Eat breakfast with a fire going in the fireplace. Large backyard is level and ready for anything you can imagine including plenty of room for a pool. Room to park your RV. Come take a look at this adorable home in this quiet neighborhood. 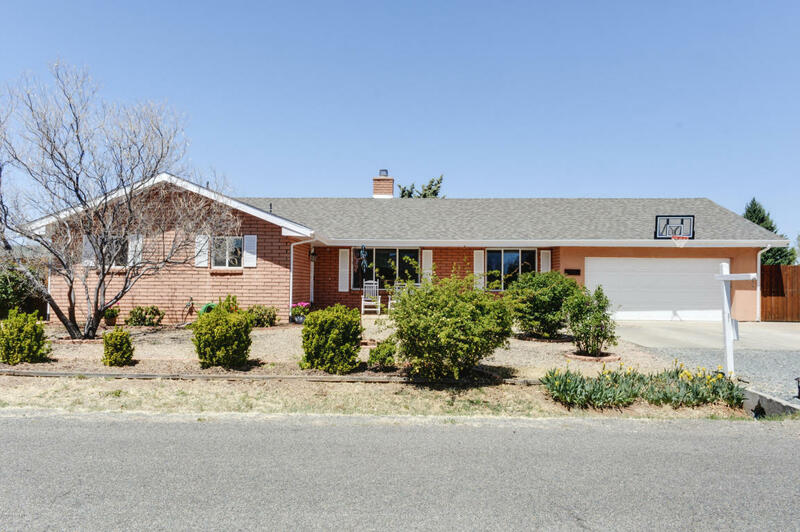 Close to shopping and only 10 short miles to Historical downtown Prescott.